Salon 554 has been serving Salem and the greater Willamette Valley over since opening its doors in 2004. Voted Best Salon and Best Day Spa in the Mid-Willamette Valley for many years in a row, 554 is Salem's favorite salon destination. 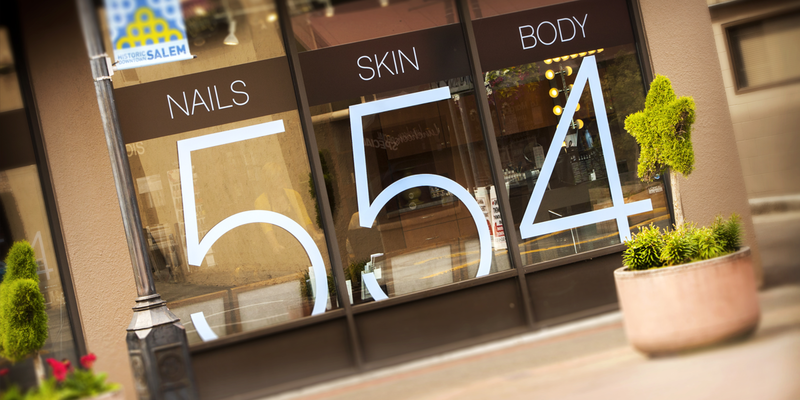 Located in the heart of downtown, our guests say 554 feels like Portland's best salon right here in Salem. All of our technicians are highly trained and receive extensive ongoing education in cutting edge techniques and developing trends. Whether you are looking for help with creating a new style, maintaining your current look, or just need a momentary escape, look no further!